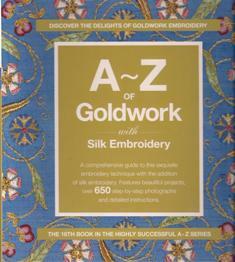 This book contains over 540 step by step photographs in color and easy to follow instructions for more than 100 goldwork stitches and techniques. You’ll add color to your designs using silk. 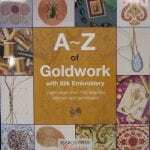 There is detailed information about gold threads and the stitching tools you’ll need to learn this beautiful art. 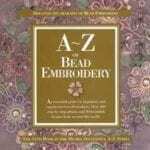 Eight original designs are included with instructions for you to practice.